The Hobbit: The Battle of the Five Armies: Bilbo, Thorin, and their merry band of dwarves hold up in the treasure-filled Lonely Mountain, and Thorin’s greed for the gold and Sauron’s tendency to be Saurony sparks a chain of events that leads to everyone killing each other in an epic battle of epicness. 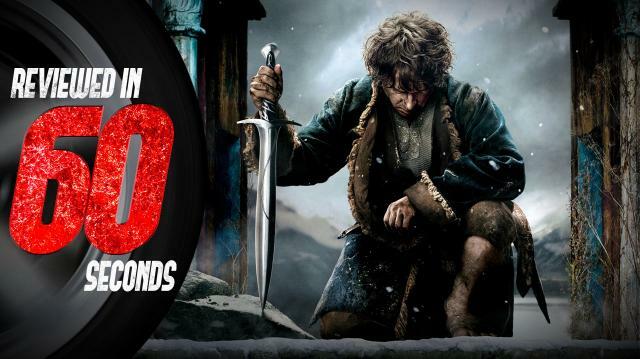 If Middle Earth is your thing, you’re going to dig this movie. It’s got huge battles, magical mysticalness, and annoyingly beautiful everything. While Martin Freeman continues to be the most likeable actor in the world, everyone else was, well, Lord of The Ringsy. Very epic and inexplicably British. Despite my distaste for Middle Earth’s perfect streak of being completely cheesy and getting away with every dramatic cliche known to man, I can’t give this movie a bad review. Any movie that can be 90% battle and last 2.5 hours without losing my attention can’t be a bad movie. And unlike Return of the King it doesn’t have a marathon of neverending endings. So we’re giving it 4 3D elven elk antlers out of 5. Why elven elk antlers? See the movie to find out! The Hobbit: The Battle of Five Armies is in theaters December 17th.